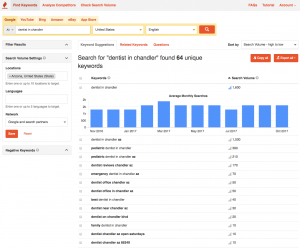 What is Chandler SEO and how can it help your business? Search Engine Optimization (SEO) is the ongoing act of optimizing web properties. Most businesses have many online properties even though they may not know it. 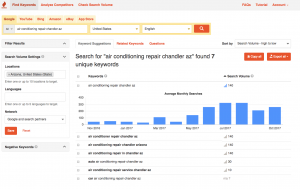 Here are some examples of properties that can be optimized for search. Those are just a few examples of the properties that we can build out and optimize for search. You see here that there are many opportunities for optimization, SEO is not just about getting your business listed on Page 1 of Google, it’s about optimizing all properties to be found across all platforms on the web. There are many search engines like (Google, Bing, DogPile) and social networks like (Facebook, Twitter, Youtube) out there that you have never heard of, yet millions of people are using them. Optimizing content within these properties has proven to be extremely beneficial for us and our clients. By building out quality blog posts and syndicating the delivery of this content across many social platforms we begin to receive referral traffic off of those properties and onto our own. 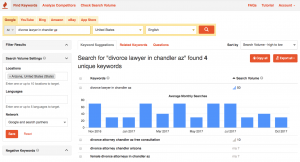 So how do we optimize businesses in Chandler, Arizona for search? 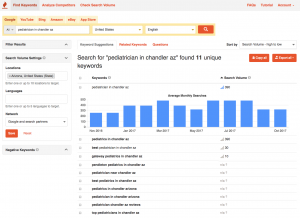 Below is a chart that shows various search terms taking place in Chandler, AZ and the corresponding number of searches per month. This is why we optimize properties for search. There are hundreds of variables that the Google search algorithm processes to determine if a web property is worth ranking within its search engine. Below I will discuss onsite SEO and offsite SEO and how you can leverage both to benefit your properties. In my opinion, nothing beats quality content. Content consists of text, images, video, pdf documents (Download this Google PDF document on SEO for beginners), links, and just about anything else relevant to your business that would provide value to a user searching for your products and services. If you are a do-it-yourself entrepreneur and don’t have the finances to hire an SEO, here are some tips to get your site as optimized as possible. • URL • When creating your pages think about using the terms you want to rank for in the URL. For instance, if you were a mechanic in Chandler, Arizona and wanted to rank for “oil changes in Chandler” you could structure your URL like this. The URL is the address and has a lot of influence on rankings as this is one of the first elements that the Google bot crawls. Get your URL structure right. 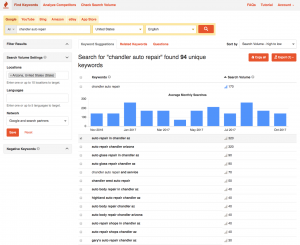 Do not go overboard with “Keyword Stuffing“. Make it as natural and non-spammy as possible. • Page Title • Your page title is a great opportunity for you to title the page in a way that the Google bot understands what the page is about. Try to add some variability here. If your URL structure is “www.bobsmechanicshop.com/oil-changes-chandler” then think about a creative way to phrase your page title so that it’s not a duplicate of your URL but still contextually relevant. Something like “Chandler Oil Changing Services” would be a good example of staying relevant, using your target terms, and using natural language. • H Tags • H Tags are short for “Header Tags”. Again, here is another opportunity for you to write an SEO friendly Header Tag to better clarify what the content on this page is about. If the content on the page is a breakdown of the service being done then a relevant Header Tag could be “Our Step By Step Oil Changing Process“. Think of the page title as a general overview of the page and the H Tag as a filtered down title, something more specific. So we went from “Chandler Oil Changing” in our Page Title to “Our Step By Step Oil Changing Process” in our H Tag. You can add H1, H2, H3, H4, H5, and H6 tags as of this writing. H1 is your biggest, boldest headline. The rest should follow in order of relevance. • Content – Text • Learning how to write content for Google and real human interaction can be a learning curve for some. It is often suggested that your pages/posts should consist of 300 plus words. I believe that the more information you can provide, the better. If you are having trouble coming up with 300+ words as content for your business then maybe you are not the authority you think you are. You need to provide value to the world, as the Google bot crawls your web pages they are looking for reasons to rank your property, having quality information to share in your professional niche will help you position yourself as an authority in your industry, and in your local market. Also, if you are unsure how to create decent content, read the content others in your industry have created to inspire you. Here is another quick tip: Use LSI terms in your writing! Create great content, provide value, and you will benefit greatly. • Content – Images • Google loves content, and so do humans. If you can take unique pictures and share them to your pages that is added value. For instance, if we are talking about “oil changes chandler” and you can take pictures of the interior of your automotive shop and capture a sequence of images portraying the process then that is of value. An individual searching the web that came across the content would not only have quality content to read but now a visual representation of how the process works. Three to four images are good, if you want to add more and relates to the context of the article then add the images where you see fit. The last tip I have on Images is labeling. I see so many businesses in Chandler, AZ making the same mistake with their onsite SEO. There are business owners and local SEO’s that continue to upload images to their website that are labeled (DSC129843.jpg). That is an example of how cameras label images when taken, those are random strings of characters and nobody knows what that means. You can’t expect a bot that is crawling that content to understand what the image is if you do not label the image properly. Take advantage of this opportunity to label the image with natural language and get your key terms in there. Example: (changing-oil-filter.jpg | changing-oil-in-our-chandler-az-shop.jpg). You can see by the labeling in the example that the key terms or variations of the key terms are being used. Keeping the image title short and to the point is ideal, adding key terms and geo-relevant city/state abbreviations is also beneficial. • Content – Videos • Adding custom videos to your website and social video networks is a great way to engage your audience, provide value, and showcase to Google that your site is rich with information for its users searching for help and information. In this day and age, video content does not need to be professionally produced to be of value. There are Youtube and Vimeo channels that feature cell phone videos that generate a massive amount of views and viewer engagement. 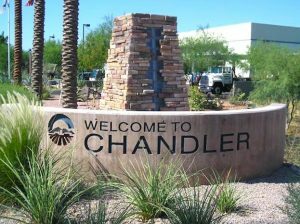 If you are trying to rank for “oil change chandler” and make a cell phone video of you or your staff changing the oil on a vehicle you have added yet another layer of value that will help Google understand without a doubt that your page is about “changing oil in Chandler, Arizona“. • Meta Data • Metadata is rich snippets of information for the Google bots that help Google understand what the web page is about. Everything I discussed above is meant for the end user. When someone searches “oil changes chandler” and comes across your page, they will find that content, read it, watch videos, share, and hopefully respond by taking action, either by calling and scheduling an appointment, or filling out a contact form and requesting more information. The Metadata is not seen by the end user but instead is purely for the Google bot to crawl and index. Metadata is something that gets written into the code on the backend, but can also be accessed through plugins and site-building interfaces that allow access to those fields. • SEO Title • Properly writing the SEO title is an important element that should be thought out thoroughly. Not only do want it to read naturally, but you also want to get your key terms in there as well. Conversion also plays a role here as this is the title the user sees when they search Google for a product or service. For example, if a user was searching “oil changes chandler” an appropriate SEO title may be something like this. Example: (For The Best Oil Changes Chandler AZ Has To Offer Call Now) In this example you can see how I used the key term “oil changes chandler” in the SEO title, but used in very natural context. SEO titles like many of the meta fields are limited to characters, so you need to find short abbreviated ways to get your information summed up into a nice short description that’s relevant, reads well, and includes key terms. • SEO Description • The SEO description is also a place to add key terms in a very natural way, and at the same time consider conversion. As a user Googles your products and services, they often browse the search results and read the descriptions. These descriptions should be short and to the point. While writing these you should be thinking about a call to action that may prompt a user to click on the search result and land on your website where there is the potential to convert the user into a customer. Be as descriptive as possible here while maintaining natural language and focusing on conversion. Those are some very basic SEO strategies that will help with your onsite. If you look carefully at this page you will see that I have also used many of these concepts to rank for “Chandler SEO and SEO Chandler”. This was a key term that I wanted to discuss and offer value for Chandler businesses wanting to rank for search terms here locally. That is not an end-all list, nor is that all that needs to be done to rank for your given term. This is simply a guideline to help you get a jump on your competition and get your feet wet with SEO. It is my belief that if you want it done right then you need to contact a professional. Me sharing these SEO strategies does not devalue what I do, I am simply informing you. Now you know what needs to be done. But like many trades, just because you know the basics of the business doesn’t mean you want to do the work. I know how to change the oil in my car, you won’t find me doing it though. I would rather pay a professional with the right tools to complete that job for me. The same goes for business looking to rank in the search engines. If you are looking for a Chandler SEO than look no further than SDARR Studios. We are a digital marketing agency located in Chandler, AZ that specializes in content creation and search engine optimization. Contact us today if you are in need of onsite SEO for your Chandler business. As with onsite SEO, offsite is still about quality content. If you are creating quality content on properties like Blogger, Youtube, Instagram, and any of the other social platforms that exist then you are increasing your chances for referral traffic. What do I mean by referral traffic? Referral traffic is when one property receives traffic from another property usually through a link. When a visitor lands on my page here and clicks this link to Phoenix SEO that company just received referral traffic from me. I could also embed the Google map of another SEO company here that would allow you to click through and visit their Google map, in this case, I will add it for a company that ranks for Phoenix SEO. Now, if you were to click on that map and visit that Phoenix SEO agency it would be considered referral traffic. That business has received referral traffic from another web property. This map embed was done offsite (off of their site) and therefore this is an example of offsite SEO. I will get into a little more detail regarding other methods of offsite SEO and how to better leverage social media and blogging platforms to increase traffic to your website. If you are a do-it-yourself entrepreneur and don’t have the finances to hire an SEO, here are some tips to get your site as optimized as possible. • Build Citations • Find as many directory style sites you can that allow you to list your business for free. 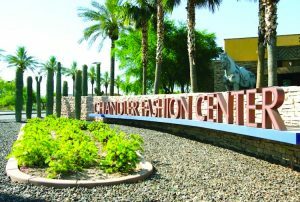 If you are a local business in Chandler, then look for local directories. There is value in being listed on community sites. Not only does it give you targeted geo-relevance but it also increases the likelihood that you receive referral traffic from other local visitors. Be sure that when you are creating these business listings that you are keeping your business name, address, and phone number consistent across all the listings. No need to unnecessarily confuse the bots that are indexing these. A common mistake made by businesses trying to rank for Chandler SEO is they are not consistent with their citation listings. For instance, if my address was 1st Ave, Chandler Boulevard you may see these variations from listing to listing. Example: (1st avenue | 1st ave | First Ave | First Avenue) or (Chandler Boulevard |Chandler Blvd). Those little mistakes have the biggest impact on your Google maps listing and whether or not you rank within the maps on page 1 (1 | one) of Google. Be diligent when building out your citations, maps listings are extremely valuable in mobile search. • Build Social Properties • If you are operating a business online and you do not have active social profiles then you are missing out on one of the greatest opportunities for free traffic that exist. Social platforms like Facebook allow you to create business pages, invite people to like them, engage those people, and receive a ton of referral traffic off of them. I often times create my top 4 properties that I use for any personal business project I am working on. Facebook, Youtube, Instagram, and Twitter are 4 platforms that play well to my strengths as a content generator. For other people, those platforms will vary drastically as we all have our preferences and understandings to our respective industries. Outside of those main platforms that you choose to engage your audience in, I would suggest building out a dozen more just to have the profiles visible on those other platforms. There is a ton of value in that. • Build Google My Business Profiles • By setting up a Google My Business profile you can request Map verifications so that you rank within the Google map listings and also show in the search results for Google My Business listings. I would highly recommend setting all your Google properties up as soon as possible. Having these created and optimized correctly will prove beneficial in the search engines. This includes Youtube, Blogger, and Google-owned properties. Building and optimizing your business for Chandler SEO will be of extreme value when it comes to ranking. • Guest Posting • Guest posting is something that is often overlooked, or rather not even thought of when business owners think of offsite SEO. If I were a small business owner outside of this industry I wouldn’t have had a clue that this was even a thing. What you can do as an industry insider is, contact other website owners and ask if you can guest post on their blog. Depending on the site owner, they will either be receptive to this or dismissive. The benefit here is that you can share industry knowledge on another website that is topically relevant to your own. At the end of the article, you can give credit to your own site by linking to it. For example, if I were writing this blog post as a contributor I may reference my own site here. This is an opportunity for you to provide value to another website, and receive a backlink in return. This is a great way to get backlinks. • Topical Commenting • This is actually one of my favorite ways to create relevant backlinks. Most blogs have comments open to the community for engagement. Depending on the website, you may need to be registered or have a profile to do so. In addition to benefitting from the backlink you can leave, this also gives you an opportunity to engage and help others leaving comments and/or help the writer of the article by engaging and sharing their story. Forums are also great for doing this, going into forums that are about your industry and answering questions people may have is a great way to establish yourself as an authority on the subject and create more backlinking opportunities. Be sure when you are leaving comments that they provide value to the community and contribute to the article. Anything other than topical commenting is considered spam and may be flagged by the blog owner. • Create More Media • In various instances this has been touched on throughout this article but I felt that for SEO purposes I should reiterate the importance and value of media. When I talk about media I am mostly referencing audio, video, and imagery. This is a great opportunity for you to create quality content that engages users and drives referral traffic to your website. Often times content that is syndicated on social and media platforms are not published on the websites themselves. This is a great way to create unique content offsite that points back to your site as the creator. I have actually seen businesses build more authority on these networks than their own websites. In some cases, these platforms become conversion properties and users never even visit the website. If I were to make a video about Chandler SEO and publish that to Youtube and Vimeo, there is a chance that after watching a user may call me right away without ever visiting this page. That is fine with me, If I can set up multiple conversion points on other platforms then I am just increasing my chances of converting offsite through multi-media. This is a topic that is ever changing and growing with the rest of the internet. What I referenced above will always be of value and those strategies will always be beneficial when done correctly. Doing these things alone may or may not be all that is needed for you to rank for your key terms in your city. If you follow these simple guidelines you will have won 90% of the race. Note that most of this is ongoing, daily, and weekly efforts are required for you to build and maintain relevance and hold key positions in the Google search engine and on other social platforms. If you are looking for a Chandler SEO than look no further than SDARR Studios. We are a digital marketing agency located in Chandler, AZ that specializes in content creation and optimization. Contact us today if you are in need of Chandler SEO for your business. Some of these are paid sponsorships, others are created when you join a given group. There are very few free link resources anymore that are worth much. With a little research, you can find more. Backlinks: Here are some great places to get quality backlinks. 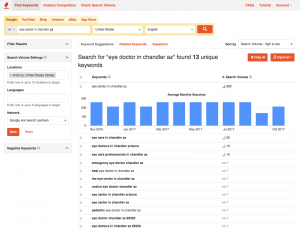 SEO Tools: Here are some great tools to get you started. CONTACT US TODAY TO GET A CUSTOM QUOTE FOR OUR CHANDLER SEO SERVICES.